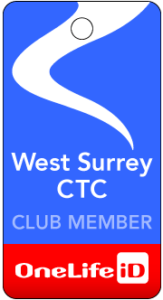 We meet each Wednesday morning from a selection of start points ranging from Chobham to Ripley, set off in 3-4 groups depending on numbers and take advantage of quiet lanes wherever possible. All groups normally meet up at the same mid morning coffee stop, and thereafter take different routes to a lunch stop, which is decided on the day and is often a pleasant country pub. Even the fastest group makes sure that sufficient time is spent at coffee and lunch, as the social side remains very important to us. We usually head towards the countryside of Surrey, Berkshire and West Sussex, sometimes further afield for an ‘away day’. 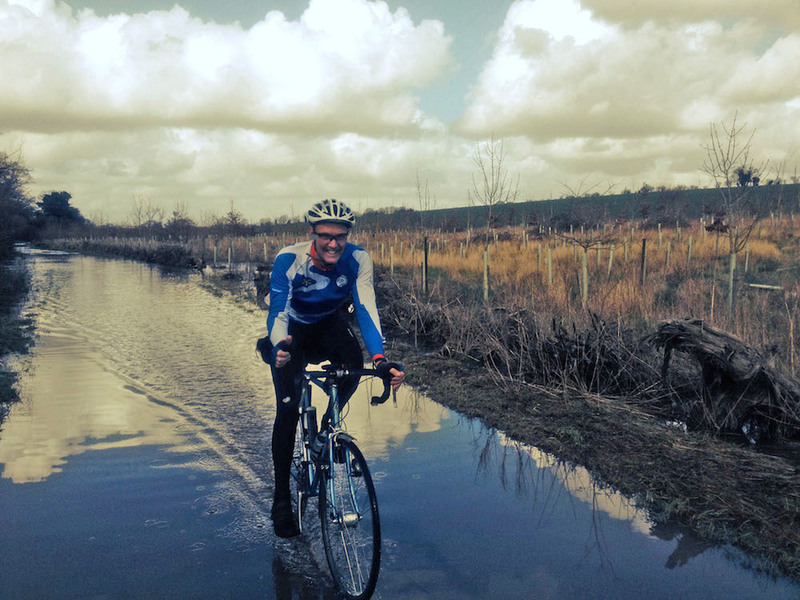 Our planned trips range from a leisurely 20 miles or so for those who want to get to lunch quickly!, to 65-70 miles of faster riding for the more energetic. We aim to provide an opportunity for cyclists of all abilities, in and around our area, to get together for rides. There is no charge for joining one of our rides. Just make sure you have a working bike, a spare inner tube and a pump!. However, please do not fret if you happen to get a puncture, one of the joys of group riding is that there will always be many willing hands to help. If you would like to join us just turn up at the start point on Wednesday morning – check the calendar here or download our rides list programme from here. Group 2 on the Ride Overview, steady ride of 30/50 miles, 10 – 13 m.p.h., to coffee and lunch, can include some hills. Group 3 on the Ride Overview, 40/60 miles at 12 – 14 mph); if demand exists on the day, this group may be split into two, one at the top end of the speed range, and one at the bottom end. TA – Train (or car) assisted: This is a ride which starts further away from our West Surrey base than normal, so many riders prefer to take the train to a designated station (or put the bike in the car). The ride leader will plan to meet the suggested train which is shown on the Rides Calendar, and lead from the station to coffee. Other riders may still prefer to cycle straight to coffee and meet the leader there, acknowledging that the length of ride will then be greater than normal. Such “TA” rides will normally cater for both the Groups 3 and 4 but not Group 2, however it is necessary to check the Rides Calendar for the precise details of each ride. In the case of any doubt, simply contact the Rides Secretary, or a Wednesday ride leader. If there is a Train Assisted ride, there will always as well, be a local ride for Group 2.